Tyson Fury 26-0 (19) admits that he has changed with age and says that he is prepared to give American WBC heavyweight titleholder Deontay Wilder 40-0 (39) the opportunity to fight him for the lineal heavyweight championship of the world. The 30-year-old self-styled “Gypsy King” made the comments at the final press conference to promote his fight against Francesco Pianeta on the undercard of Carl Frampton versus Luke Jackson at Belfast’s Windsor Park this Saturday. “If I come through this, then Wilder has a chance to fight me for the lineal championship. I’m not the one who gets the chance to fight him,” said Fury on Tuesday. It was recently revealed that negotiations for a fight against Wilder in Las Vegas later this year are already at an advanced stage with most pundits expecting the fight to take place providing Fury gets past former world title challenger Pianeta unscathed. “If I can beat Francesco Pianeta on Saturday night, I’ve beaten another boxer. Big deal. But if he beats me, he’s going on to something very big. It would be life-changing for him. If I can’t beat Francesco, then I’m going nowhere,” said Fury. Earlier, Fury said that he is a different boxer to the man who won the IBF, WBA and WBO heavyweight titles from Wladimir Klitschko in Germany three years ago. 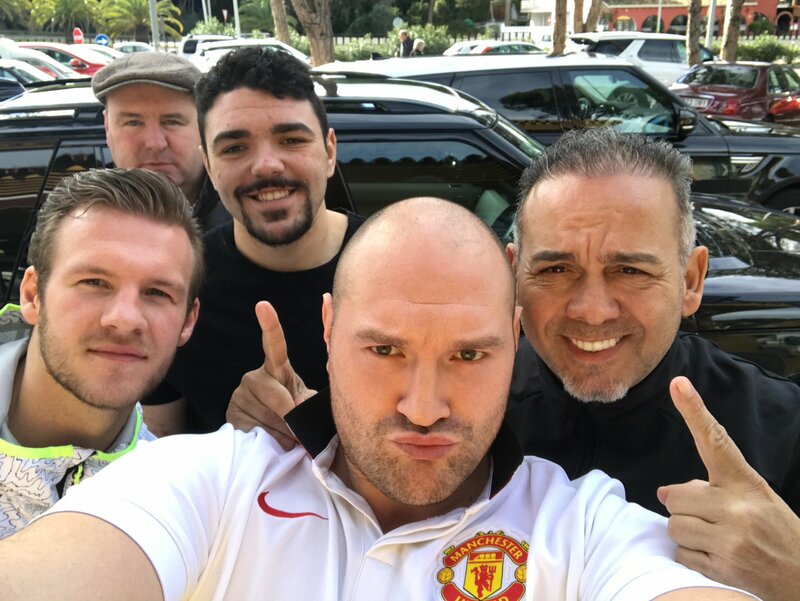 “The old Tyson Fury is gone. The Tyson Fury from three years ago and beyond is finished. Let’s face it, we all move forward in life with age and experiences and I’m not looking to dwell on the past. I’m looking to live for today and improve on who I am tomorrow,” said Fury. “The new Tyson Fury is here now and my promise is to put on a good fight. Whether that’s better or worse than the old Tyson Fury, we’ll find out on Saturday night.